One of the reason , I'm writing about this game, is the fact that I'm playing it. There is some potential about this game due to the availability of the game multiple platform, Web version, desktop version, iOS , and Android. In short, this allow cross-platform challenges among players. 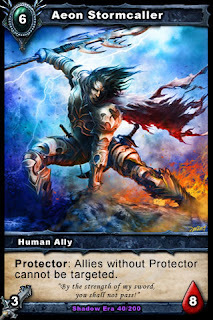 The theme of the this TCG Game is more towards fantasy, featuring the battle between the Light (Human) and the Dark (Shadow). Have some resemblance to the World of Warcraft TCG, its card types are divided into Hero, Allies, Weapons, Armors, Abilities, and Items etc. What makes this TCG Game cool? Is that you don't have to carry your deck physically. It's stored in the server, where we can access it from smartphones like Android or iPhone, or maybe tablet for a larger view, and it's playable anywhere with internet connection, computer, in Web-Browser or computer that has installed its desktop version of the game. Imagine, the ease of playing during leisure time, just simple as carrying a smartphone device is definitely lighter than carrying decks of cards. 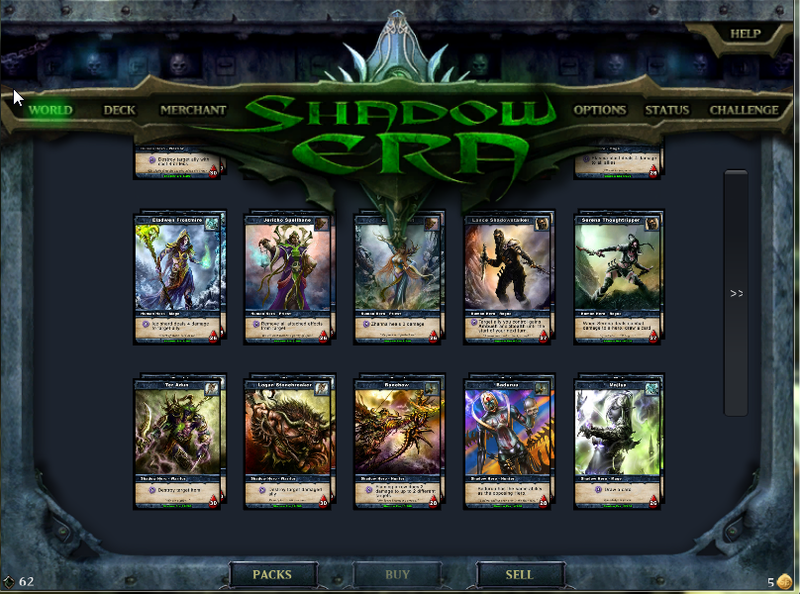 Find out more about this Shadow Era Trading Card Game, by registering a Shadow Era account, and join the community of Shadow Era! 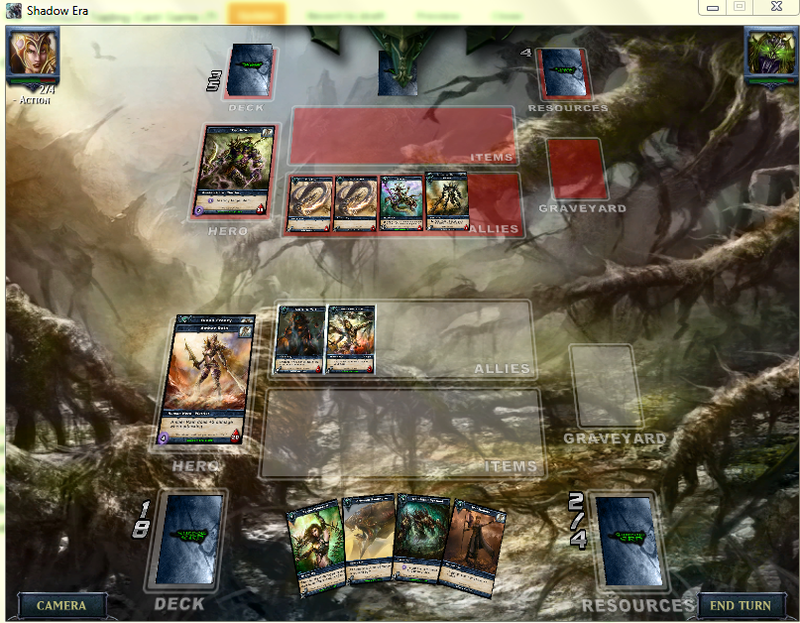 Begin the exciting fantasy card duel! The game can be played in offline mode, (no exp or gold will be gained) or play vs the computer AI, or even players worldwide using the 'Challenge'. At time of writing, it has a in game merchant, that allow players to buy cards, and stock availability and price does simulate like real market, which price will go down, and the card maybe out of stock temporarily. Though in the current version, no card trading feature between player is added, the content of the game constantly being updated. Such as the recently introduction new additional cards to both factions. During the battle, it has some animation such as spell casting, and the effect of equipping armours, weapons, as well as doing basic attack, thus making the card game more lively. After all, try it out and explore the game yourself : ) Check out the game at Official Shadow Era Trading Card Game Website.